A game like this is largely judged by its story and Beyond is pretty hit-or-miss in this area. You play as Jodie (Page) and bounce around through different parts of her life, from childhood to adulthood. Jodie is tethered to an entity, Aiden, that only she can see. She is also sometimes attacked by other entities, who Aiden fights off. Aiden is not controlled by Jodie, but he does usually obey her, which allows her to do things most people can’t. This makes her an asset to both scientists and to the CIA, but it makes her life a rather lonely one, locked up without any other kids to play with on a regular basis. I really enjoyed certain parts of the story and thought other parts were very blah. The CIA stuff is pretty rote, but has a few nice moments. Other parts of it are largely eye-rolling and the story lays out rules for Aiden’s abilities that it then ignores whenever convenient for its own purposes. For the most part, there is nothing story-wise that you haven’t seen before, but I want to single out the character moments, especially acted by Page. I didn’t care for the story, but I did care deeply for Jodie. There were delicate moments of genuine emotion that were handled expertly, which only brings the clumsy moments in sharper relief. I teared up a few times during Beyond, which I didn’t expect to do. A mixed bag, but the highs are higher than the lows. Yes, this is the Quick Time Event developer and it does force you to go through mundane tasks, but there is a real purpose behind it beyond (heh) busy work. It really puts you in Jodie’s shoes and helps you empathize with her, whether you are helping her mom in the kitchen or strumming a guitar in the snowy streets, begging for change. And I think bouncing around the timeline really helped keep things from getting stale. One moment you are a little kid playing in your room, the next level you are in the Middle East, trying to kill a terrorist warlord. It keeps things moving in a way that I really enjoyed. More games should tell a non-linear story and not in the open-world tradition. The best news is that QTEs have been streamlined and are much more enjoyable this time around. Rather than use all the buttons, you mainly use the right analog stick for the majority of your actions. For example, if Jodie comes to a closed door, you will see a solid white dot over the door, which is your indicator that an action can be completed. Press the right stick in whatever direction the dot is and she opens the door. This also applies to combat; during a fight, when an action is required, the game will go into slow-motion and all you have to do is press the stick in whatever direction Jodie is moving. If she punches towards the left, press left and she will connect. It’s smart and simple and allows anyone to pick up the controller and succeed without having to memorize all the wonky PS3 button symbols. A laudable innovation. Beyond: Two Souls is a tough game to review and tough game to recommend because a lot of people seem to despise this type of game and it’s not hard to see why. The QTE’s, the mundane tasks, the focus on story at the expense of gameplay…I get it. But I also get why people like this type of game and I am one of them. I love my action and RPGs, but I still enjoy new experiences and new types of games and Beyond, whether it succeeds or not, fills that void. It’s like a big-budget indie game, in a manner of speaking. 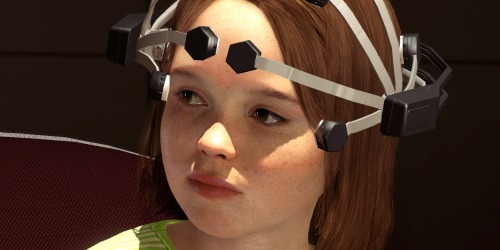 David Cage is experimenting with video games as a medium to tell stories and I like that. 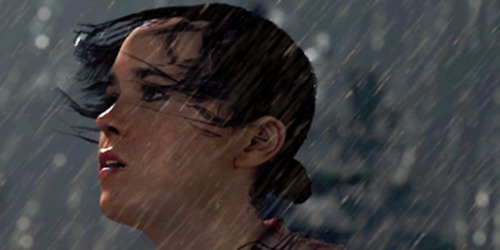 If you didn’t like Heavy Rain, then you probably shouldn’t play Beyond, but if you did like it or you thought it held promise for a new type of experience, then give Beyond a shot. It’s not going to blow you away, but it is a different type of experience than the ones we are constantly being bombarded with and if you are seeking something like that out, then you should play this. I wouldn’t pay $60 for it, but having got mine for $25 on Black Friday, I came away pretty content. It’s got some major issues and the gameplay might annoy you after a while, but I’m glad I played it. I think the statement that Beyond has great character ‘moments’ is very telling. Cage excels at making intense single scenes that can tug at the heart strings and punch you right in the feels, but when he has to create a whole narrative around that, it falls apart a little. Previous Previous post: Maxis Adds Offline Mode to SimCity, But is it Too Late?